Before I let you join Dealer, please post 'quit form' on RoC forums. 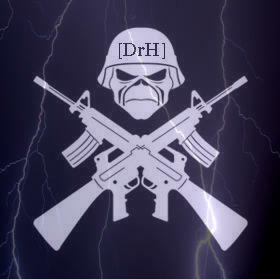 After that, you can officially be a DrH member and put on the DrH tag! Congrats Dealer! You have been accepted in DrH!! !, you may now wear the [DrH] tag. i see by DrH members that i'm a leader? You should duel people before letting them in. Just to make sure you don't recruit noobs. Just my 2 cent. Thank you for your advice Black Mamba, I am well aware that I should duel him before letting him in. As a matter of fact, I have dueled him, many times. I think he is a good player and has great potential, (as soon as he decides to stop messing around). And if Dice let him in, he can't be a noob. Indeed, nice to see you posting a lot more too!!! Keep it up!